Mumbai Airport : Definitely as it’s Domestic and International Airport and a Heliport which also has helipads for civil aviation department and also for commercial purpose. It also has a private jet terminal for those riches of city who parks it all here. Juhu Aerodrome in Western Suburb : Another air landing option, widely used for all purpose like offshore operations and also by private corporate companies, Film shoots etc. This huge location is very near to Juhu beach with entry from S V Road which is quite visible when traveling on S V Road from Andheri towards Vile parle. One can see a Big board named “Pawan Hans” in the entrance. This one is 1 of the 2 only options in Mumbai for Industrialists, Corporates and other Private companies and VIP’s. Mahalaxmi Racecourse Central Mumbai : In between South Mumbai and Suburbs is this location at stone throw distance from Mahalaxmi station. 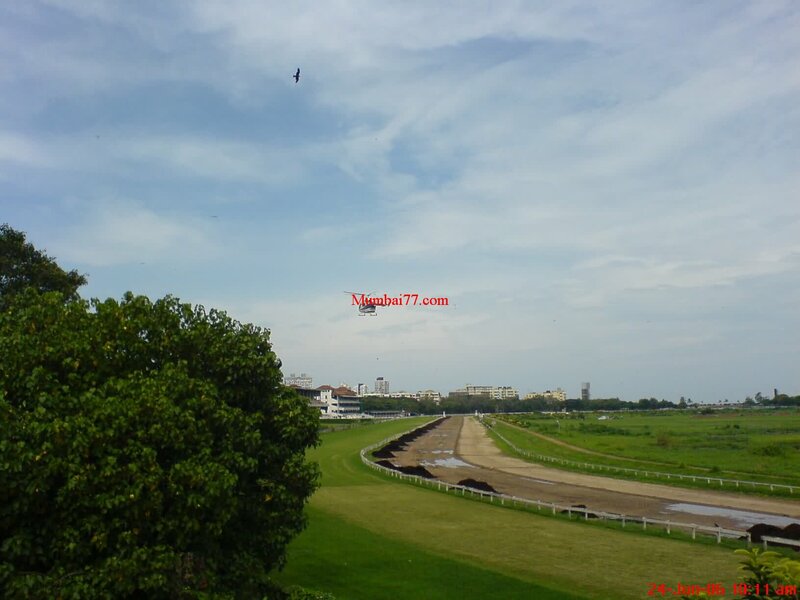 Racecourse is huge and an ideal location for helicopter’s landing. It currently has 1 helipad. Yes, Corporates and others along with VIP’s do get permissions here to land. 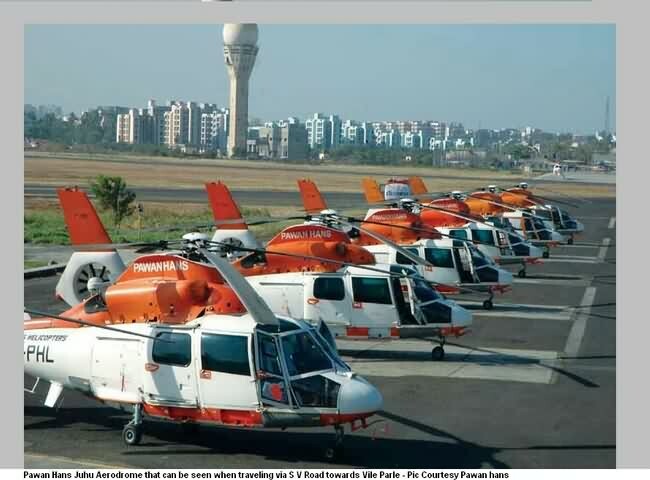 Raj Bhavan (South Mumbai) : SOBO as it is said, South Mumbai demands more of such helipads as currently there is not a single helipad for civil aviations or for any commercial requirements. Raj bhavan helipad is the only option for governments and other politicians, But not currently for VIP’s and VVIP’s lands along with some Biggies of Corporates as and when required. INS Shikara (Kunjali) at Colaba : This South Mumbai helipad is restricted to be used by Government departments (Specially Defence Section and Operations) only. Since 1964 this one is operational. Lately this location used as a single helipad was converted into a full fledge working ‘Naval Air Station’ and is still in operations. So is the need and proposal for another Helipad was recently done for which work is still in progress. Possible location for the same can be any 1 from NCPA, Mumbai Port Trust (MBPT’s) botanical garden Or Indira Docks. I will update this post on same as and when the helicopter gets this resting place operational. More on if you wanna know about rental helicopters and about chopper rides too..